So you may think after last weeks growler episode we couldn’t top that, but we’re raising the bar again with this memorable episode. 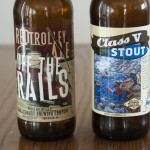 This time we try Karl Strauss Off The Rails and Kern River Brewing Co. Class V Stout. 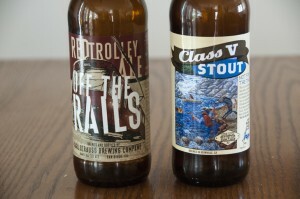 These two beers are simply amazing and we do recommend that if you want some bang for your buck, then please try these beers if you can find them. Posted in Blind Taste Testing (2011 - 2013) and tagged Class V Stout, Imperial Red, Karl Strauss Brewing Co., Kern River Brewing Co., Kern River Stout, Off The Rails, Red, stout, Stout Porter.